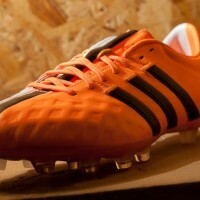 Returning to K-leather and dropping the “adiPure” name, adidas’ 11Pro is back and sleeker than ever. With two different color choices, one a split-orange and white look and the other a mostly blackout, adidas are trying infuse some life into the 11Pro silo. Stepping away from the criss-cross stitching of its recent releases, the waffle-like design on the upper seems like they are going with a more minimalist leather boot. Many fans will be glad to know that while it may seem like there is a bit less cushion, adidas has gone back to K-leather. The lining of the shoe is soft suede that features memory foam on the heel of the footbed, for some extra comfort. 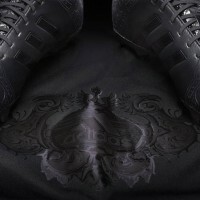 Speaking of that, the ComfortFrame outsole, which premiered on the last adiPure 11Pro update, remains on this version. The ComfortFrame backs up its name by utilizing a few extra support bars and stud placements that distributes pressure for better fit and traction. 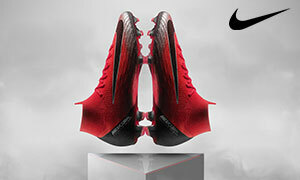 This 11Pro release strikes me as finding that tough balance between heritage boot and modern aesthetic. It seems like Nike has landed that with their Tiempo Legend V. This 11Pro is cleaner than previous editions too. Unlike the last version, the “11Pro” callout on the back is small and minimalist. The black line stretching from the heel, on through the soleplate, all the way to the top of the tongue makes for nice symmetry as well. The clear soleplate itself reveals a compelling design underneath that gives this 11Pro a little added spark. 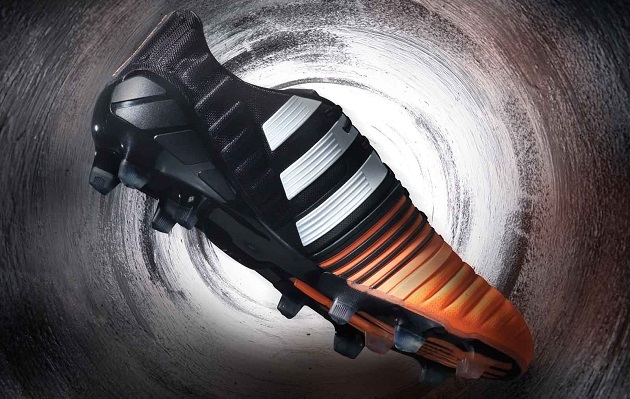 This color update to the Nitrocharge comes in Core Black and Flash Orange, which features the black on the back half and the orange on the forefoot, with the two colors intermingling in the Nitro’s signature Energysling. White three stripes on either side of the upper make sure adidas’ logo stands out on this primarily black boot. 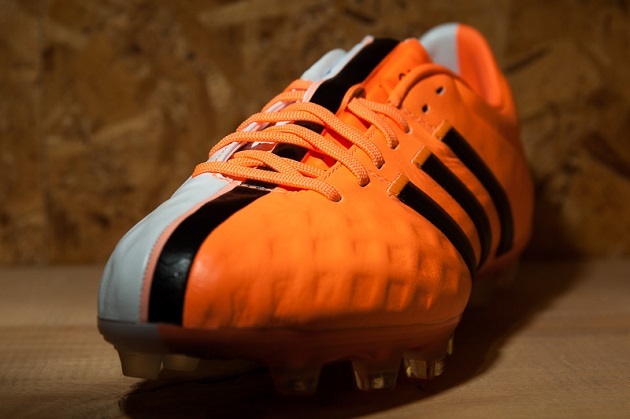 The heel features an orange “Nitrocharge 1.0” callout that looks really sharp. 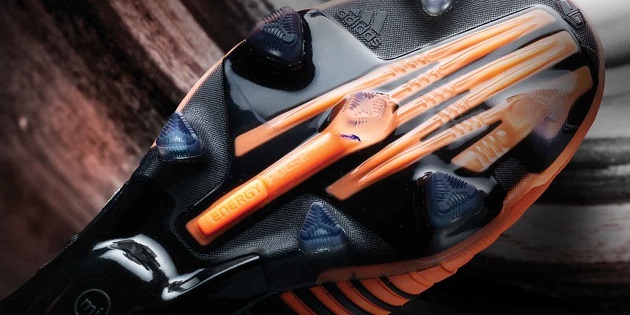 Even with the introduction of the next-generation Nitrocharge in August, adidas’ energy-themed boot silo has struggled to take hold. With limited player support, the Nitro has had trouble finding its place. However, this is probably more because of a lack of marketing and identity than it is for the boot’s look, which always seems to have shiny new color-up to show off. 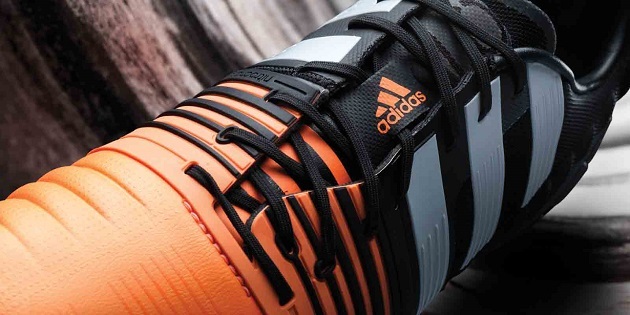 The orange and black mix here positively stands out even among the recent Nitrocharge colors. As usual, the Nitro features the Energysling wrapped around the forefoot that provides stability with its high elasticity rubber. One of the most interesting additions to the recently redesigned Nitrocharge was the pre-molded protection pads and mesh in the toe and heel to keep you well guarded from overaggressive left backs. Finally, the Sprintframe outsole provides a lightweight bottom to this boot.